I think the portrait of Andy Warhol makes an interesting center of interest. I like the way the designer kink of mixed up the leading and angles of the lines of typography. 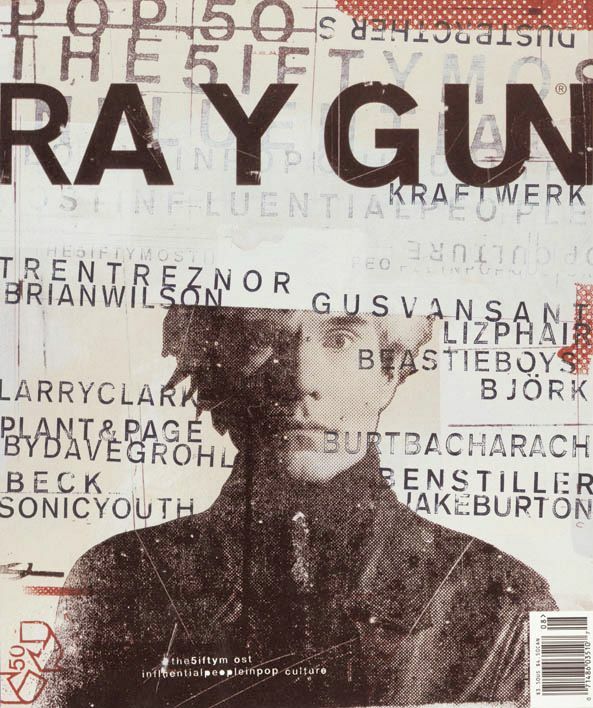 I like the unequal kerning used in the word, "Raygun". Terms to use: center of interest, typography, grid, tracking, leading, warm colors, cool colors, complementary colors, texture, line, shape, form, balanced, unbalanced, movement, pattern, repetition, variety, unity, positive space, negative space. (Keep the Terms to use list at the bottom of this page. Don't put it under each DOW).